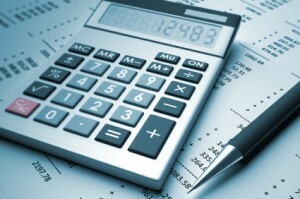 We provide a full range of certified services in accounting and tax accounting. UCMS Group is a recognized international expert in the field of accounting services. Our years of experience, the use of advanced technologies and practices allow us to carry out accounting tasks of any complexity in companies of all sizes – from multinational corporations to small local businesses. We guarantee the correctness of accounting, timely submission of mandatory reporting in full conformity with regulations of the Republic of Kazakhstan, and strict compliance with the rules of confidentiality when dealing with customer data. Our services are covered by professional liability insurance, which gives our clients additional security guarantees. We can keep your accounts in full or take over its separate parts. UCMS Group can completely take over your accounting, or take care of its individual areas – from collection and verification of primary documents to creation and delivery of responses, accompaniment of inspections by government agencies and others. We cooperate with organizations with different organizational and legal forms: LLP, JSC, CJSC and others. If you want to expand the package of services, we are happy to discuss it. UCMS Group helps companies improve the efficiency of tax records, providing a full range of services for the formation of quarterly and annual tax statements and tax returns, consolidation of balance sheets of tax accounting, providing internal management reporting and analytics. Depending on your company’s needs, you can submit us all the whole accounting, or choose any work area in which you need help (for example, management of cash operations). Chief Accountant of a company – is an extremely responsible position. Security and material resources of the company, its compliance with financial requirements of Kazakhstan legislation largely depend on skills and professionalism of chief accountant. Selection of a suitable candidate for the company is not always an easy task. UCMS Group can provide your company with a chief accountant from among our experts, or assist in selecting a candidate for the full-time position. At the Client’s request, we can prepare management accounts in accordance with internal corporate policies to customers, including IFRS standards.